Tumble down the rabbit hole and find yourself in an inky black-and-white wonderland. 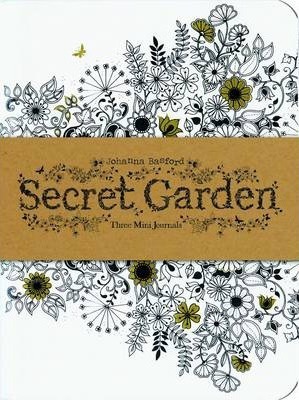 Following on from the success of the best-selling colouring book Secret Garden by Johanna Basford, this set of three mini journals has beautifully illustrated covers decorated with gold foil and is packaged as a gift set. Each journal contains 64 blank pages for your notes and sketches. Appealing to all ages, the intricately realised world of the secret garden is both beautiful and inspirational.